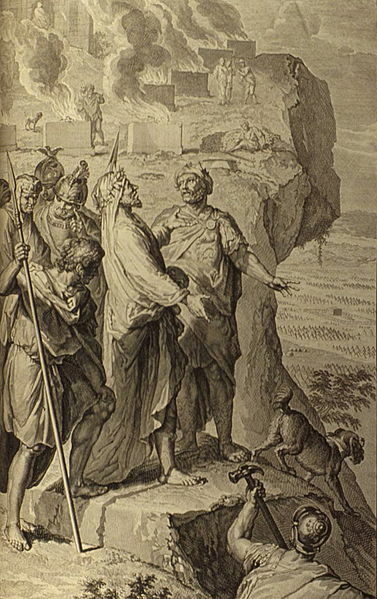 King Balak of Moab sought the prophet Balaam that he might curse Israel. Balaam declared that he could not say more or less than what God declared over Israel, so that if God wanted to bless Israel, Balaam could not change what God had decreed. “Then Balaam said to Balak, ‘Build seven altars for me here, and prepare for me here seven bulls and seven rams'” (Numbers 23.1). Balaam no doubt wanted seven altars, and seven bulls and seven rams to offer upon those seven altars, because he saw the significance of the number seven, believing that he was having Balak set up the perfect and complete system for appealing to God, that He might change His mind in regard to cursing Israel. Therefore, while the number seven holds significance with God, that does not mean we can manipulate Him into doing what we want done by somehow using seven items. It is not that the number seven is a magical number, or that there is some mystical power in the number, no, the power is in God, and He chose the number seven for various things for His own purposes, not for man to use as an “Abracadabra” moment. This entry was posted in Numbers, Seven and tagged Altar, Balaam, Balak, book of numbers, God, Israel, Israelite, Moab, Numbers 23.1. Bookmark the permalink.